When it comes to teaching multiplication, it can be tricky to know how to approach it in your classroom. Often we teach multiplication using the “groups of” idea and leave it at that. 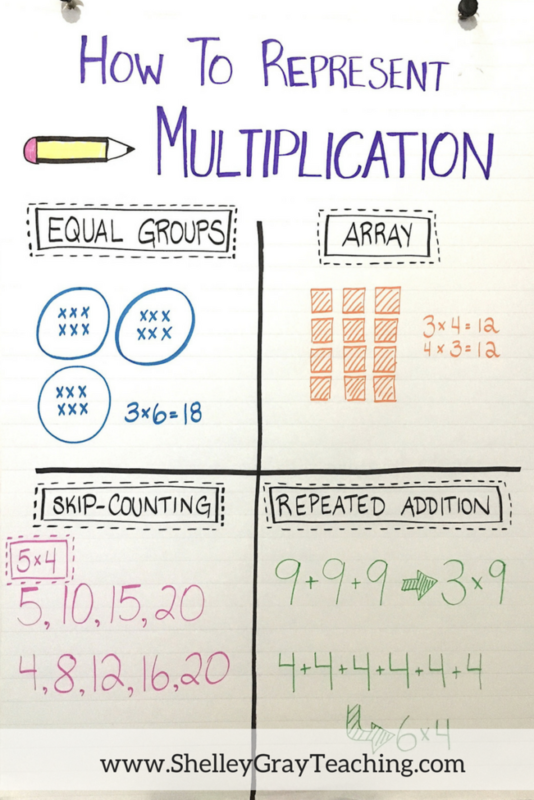 But it is important to teach multiplication using different approaches and strategies, so that students understand it in many different ways. 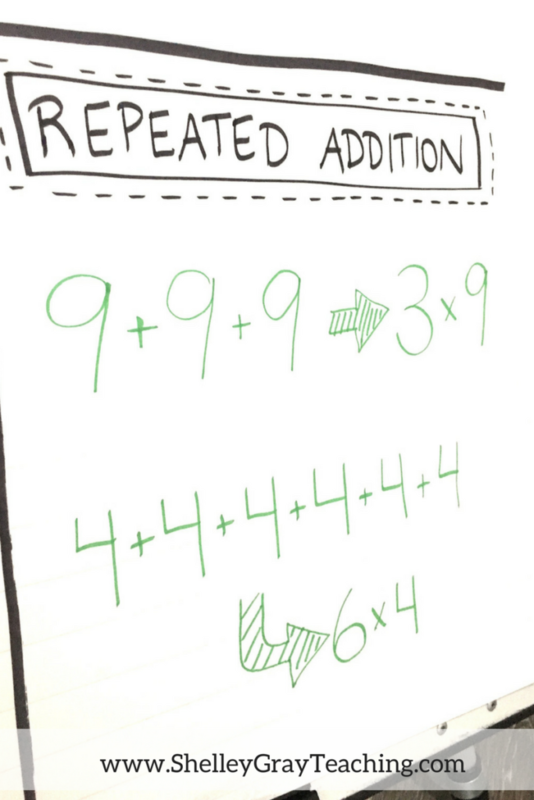 Here are four ways to teach multiplication in your classroom. Make sure that these are all included in your instruction so that your students are able to visualize multiplication in different ways while they learn what it really means. Once students REALLY understand multiplication, you’ll be able to move away from these approaches and focus more on multiplication fact mastery. 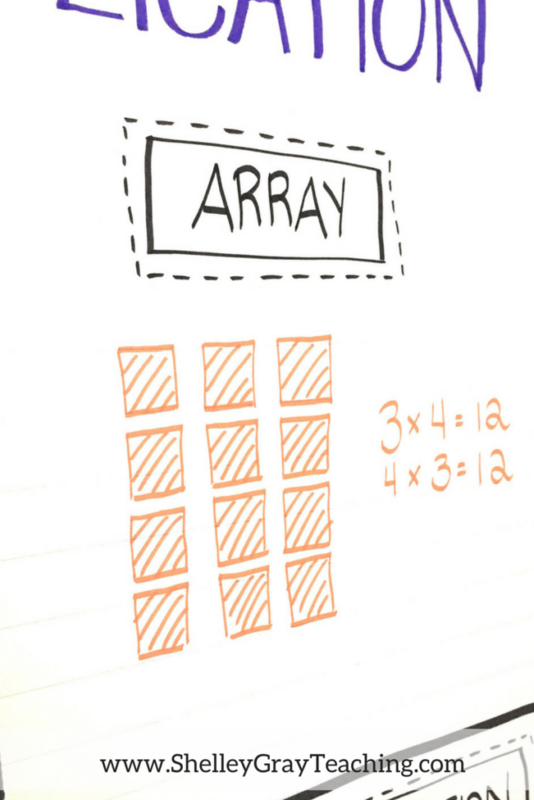 An array is a group of objects that is arranged into rows and columns. This group of objects can be used to represent a multiplication equation by multiplying the number of rows by the number of columns. For example, the array below shows 6 rows and 7 columns. This represents the multiplication equation 6×7 or 7×6. Altogether there are 42 objects in this array. 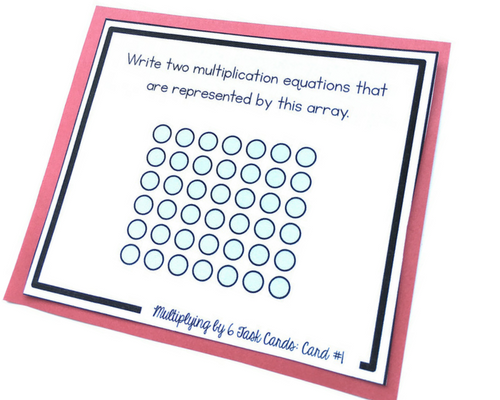 FIND THIS TASK CARD IN THE BASIC MULTIPLICATION TASK CARD BUNDLE HERE. Be sure to ask students to identify the equation represented by an array, as well as draw arrays to represent an equation. 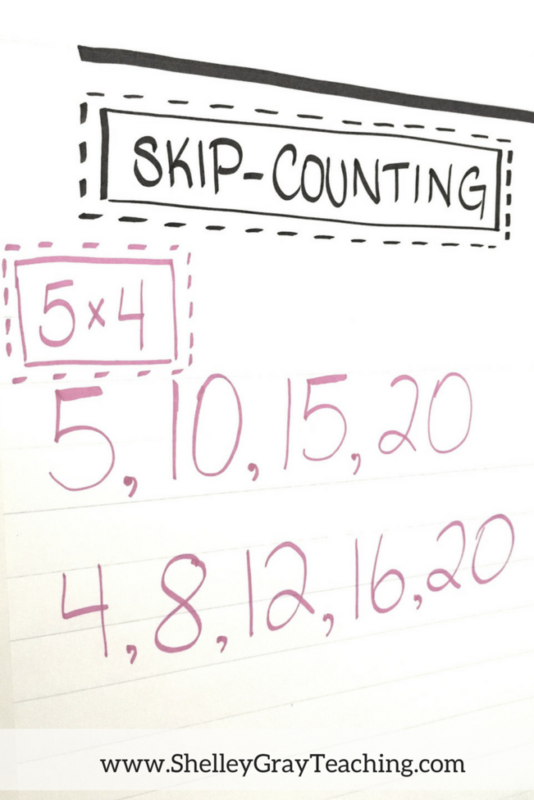 Skip-counting is generally an introductory activity for multiplication. Students can use a number line, or a simple skip-counting sequence to figure out the product of an equation. For example, to figure out the product of 5 and 4, we can skip-count 4 groups of 5 – 5, 10, 15, 20 or 5 groups of 4 – 4, 8, 12, 16, 20. When we teach multiplication, we want our students to understand that it can be used as a shortcut to addition. For example, to figure out the problem below, we could add 8+8+8+8+8 to make 40 and get the correct answer for this problem. However, it is much faster to multiply 5×8 to make 40 instead. We can ask our students to look at a repeated addition equation and identify the multiplication equation that is represented. 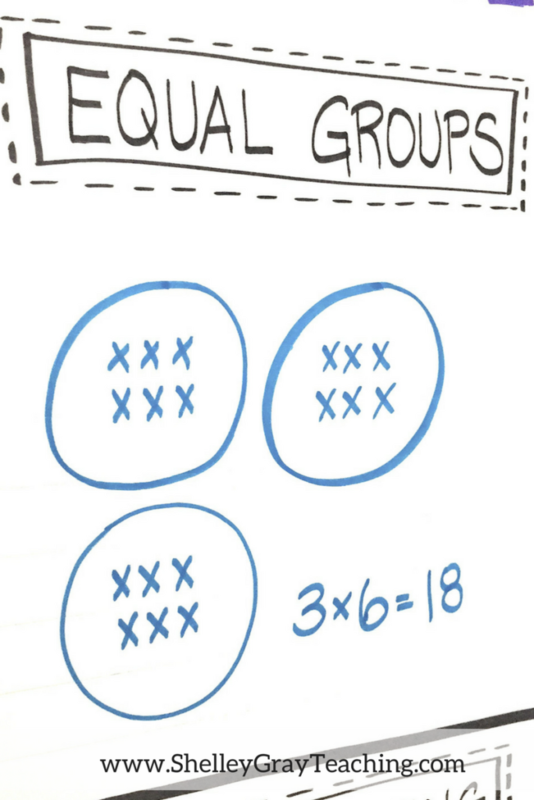 Equal groups are a great way to introduce multiplication. The idea of “groups of” can be understood more when introduced with a picture. 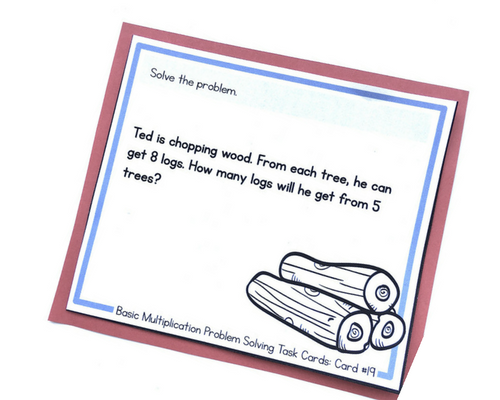 This task card shows the equation 6×8 represented in an “equal groups” picture. Be sure to have your students draw picture representations that make sense to them, as well as identify the equation represented by a picture. REGISTER HERE for a one hour self-paced mini course – Teaching Multiplication and Division for Mastery. You’ll leave with a ton of new ideas, free resources, a PD Certificate, and more! 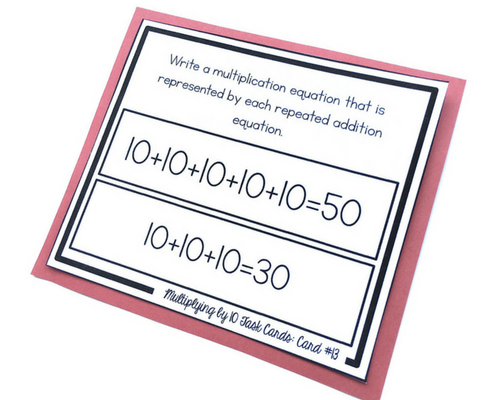 Read more about multiplication fact strategies HERE. 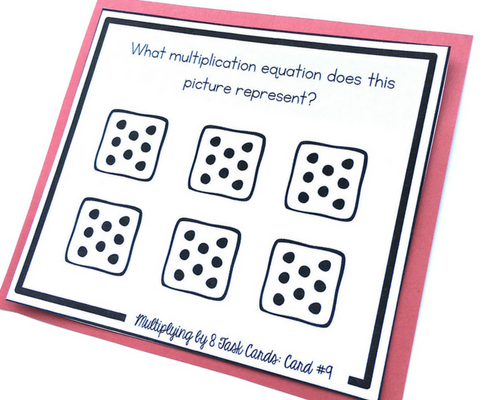 Use Basic Multiplication Task Cards to reinforce each set of facts using the approaches shown in this post. Find the full package HERE or a free sample HERE. Implement basic multiplication into your daily practice to ensure that it is being continually reinforced. Find the full Basic Multiplication Equation of the Day package HERE or a free sample HERE.